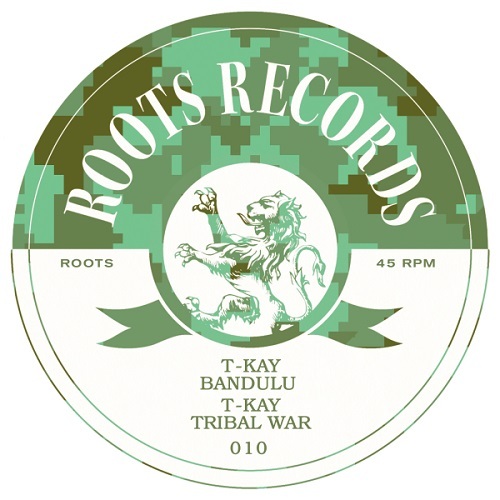 T-Kay (Numa Crew) makes his debut on Roots Records and brings us two huge Dubwise summer smashers. . . Italian export at its finest! Numa Crew is a collective of djs, producers and two MCs, pioneers of the italian dubstep scene and one of the landmarks of the national underground music scene. Their musical research focuses on bass music, with influences that range from dub & reggae to hip hop and UK underground music. The collective, founded in 2005 in Florence, starts releasing several 12″ vinyl for the label Elastica collaborating with artists such as Zion Train and Dub Sync. Later the crew creates Erba Records, a white label principally devoted to reggae-dubstep, D’n’B and Jungle sounds, which is flanked by two other discographic projects, Voodoo Rebel and Digital Smokerz, exploring all contaminations of global bass music. Meanwhile, they release on many other national and international labels such as EMI Italy, Liondub International, Moonshine Records, Boom Sound, Nice up!, Irish Moss Records, Innamind Recordings, Chinese Man Records and Convoy Unltd, collaborating and remixing many artists including Dub FX, Daddy Freddy, Horace Andy, General Levy & Bonnot, Zion Train, Almamegretta, Subsonica, Casino Royale, Taiwan MC, MC Coppa, Squarewave & Doctor, Dirty Dubsters, Turbulence, Illbilly Hitech, Blackout JA, DJ Vadim and many more. Numa Crew performs regularly in Italy and often across national borders, sharing the stage with the main acts of the international scene. In 2014, they participate with the Elastica Records crew to the Red Bull Music Academy Culture Clash in Milan. Their music is supported on radio networks such as BBC Radio 1, BBC RADIO 1XTRA, Capital Xtra, Rinse FM, Kool FM, RaiRadio2, supported by David Rodigan, Toddla T, Congo Natty, Sir Spyro and they have been broadcasting live on Sub FM for three years, sharing a radio show with their friend and collaborator DJ Foster. Their first album “New Underground Massive Alliance” has been released on Liondub International (November 2014) featuring Dub FX, Mr. Lexx, MC Kwality and many more. Lately in 2015/16, they’ ve been releasing the best seller ‘Dub Searcher’ EP on 12″ vinyl via Moonshine Recordings. In 2018, a brand new label called Numa Recordings comes to life; the first single ‘We huh tek talk’ featuring the London collective Killa’s Army (Killa P, Irah & Long Range), it’s been released the 21st of September.